Vehicles & vessels There are 101 products. Lunar pack, to accompany Tintin and his companions to the discovery of the star of the night. 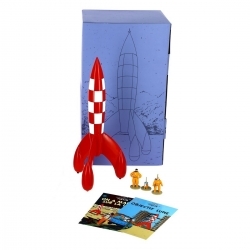 The pack includes a Tintin PVC rocket of 17cm with three hand-painted flat alloy figurines of 5,5cm of Tintin. 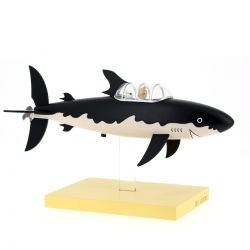 An ideal gift for all fans of Tintin. 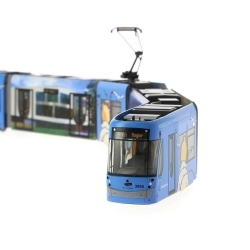 Moulinsart and STIB are presenting the electric scale model of this HO / 87th scale Tintin tram, produced in limited series and numbered 1000 copies, accompanied by a certificate of authenticity. 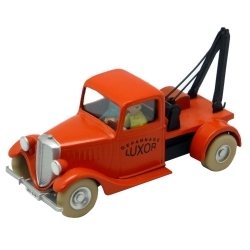 This 1/43 scale Tintin cars series model of the Luxor tow truck is based on the illustration on page 44 of The Crab with the Golden Claws. 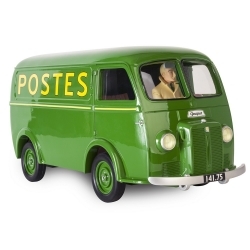 This 1/43 scale Tintin cars series model of the ambulance includes Tintin, the driver and a medic. 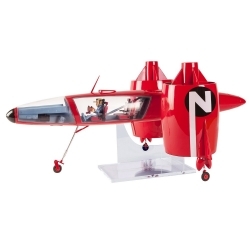 1/43 Tintin Metal Collectible Car: This car is from the album The Black Island. 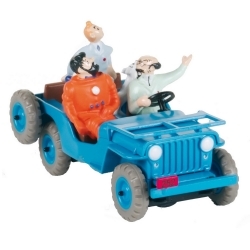 (p6) The characters present are the truck driver, Tintin and snowy.. 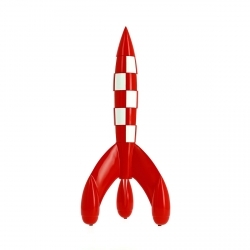 Length of the vehicle: 13,3 cm.$ Scale: 1/43. 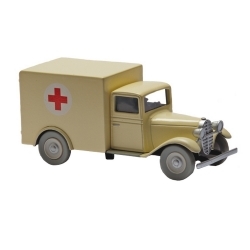 1/43 Tintin Metal Collectible Car: This 1/43 scale model of the ambulance includes Tintin, the driver and a medic. 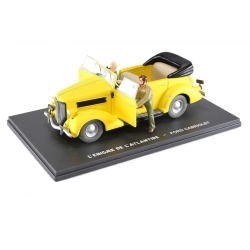 Collectible car 10.6cm long. 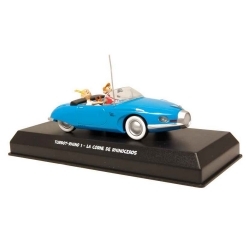 1/43 Tintin Metal Collectible Car: This Limousine is from the album The Blue Lotus. (p52). 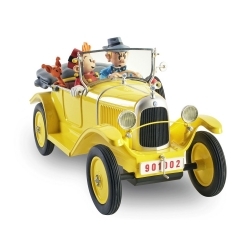 Tintin and Snowy are the drivers and Tchang is the passenger. 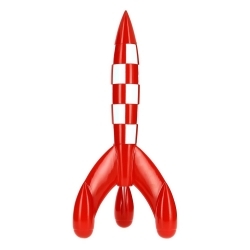 Length of the vehicle is 10,6cm. Scale: 1/43. 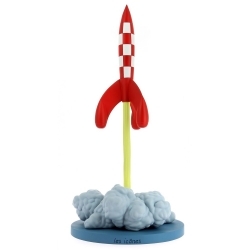 1/43 Tintin Metal Collectible Car: The Dodge Coronet, scale 1/43, from Destination Moon, includes a driver and passengers Tintin, Captain Haddock, Snowy and an escorting official. 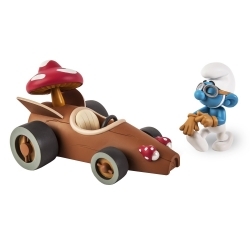 Collectible car 11cm long. 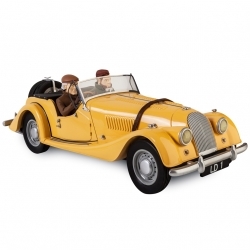 1/43 Tintin Metal Collectible Car: The Lancia Aurelia, scale 1/43, from The Calculus Affair. Captain Haddock gives Mr Arturo Benedetto Giovanni Giuseppe Pietro Arcangelo Alfredo Cartoffoli da Milano a piece of his mind! 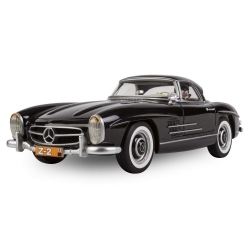 Collectible car 10.4cm long. 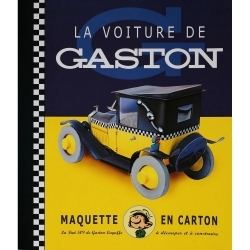 1/43 Tintin Metal Collectible Car: The Opel Olympia is scale 1/43 and comes from King Ottokar's Sceptre. 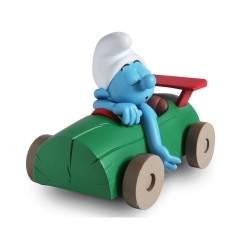 Collectible car 9cm long. 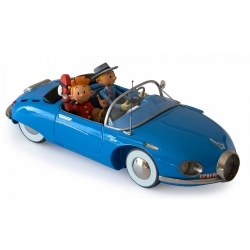 1/43 Tintin Metal Collectible Car: The doctor's Citroën Ami 6, scale 1/43, from The Castafiore Emerald. 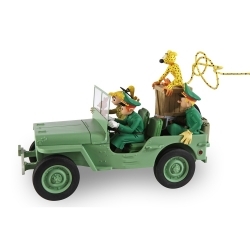 With Professor Calculus as the passenger. 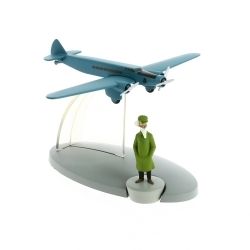 This model from the Tintin planes series is based on illustrations from Destination New York. 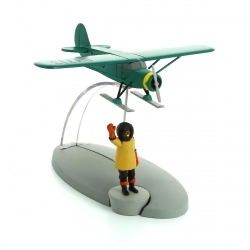 The skiplane comes with a Professor Nielsen figurine. 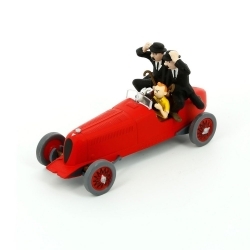 Collectible figure Tintin and Snowy in The Red Bolide Amilcar, designed and manufactured with a keen attention to the original detail in Hergé's drawings. 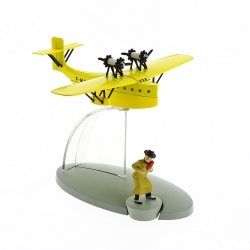 This model from the Tintin planes series is based on illustrations from the Tintin adventure Tintin in the Land of the Soviets. 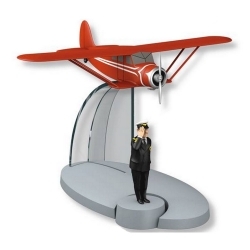 The fighter plane comes with a policeman figurine. 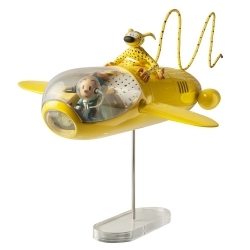 This model from the Tintin planes series is based on illustrations from the Tintin adventure King Ottokar's Sceptre. 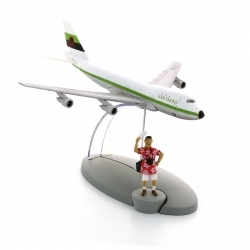 The Professor Alembick plane comes with the pilot figurine. 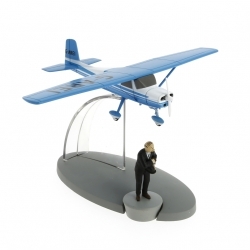 This model from the Tintin planes series is based on illustrations from the Tintin black and white adventure The Black Island. 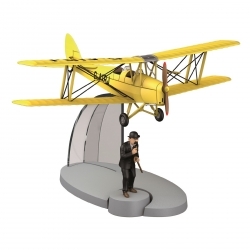 The Yellow Biplane comes with a figurine of Thomson.